Analysis of your Online Strategy – where are you now? This ensures you know what is currently happening online for your business and helps determine how your website is presented. 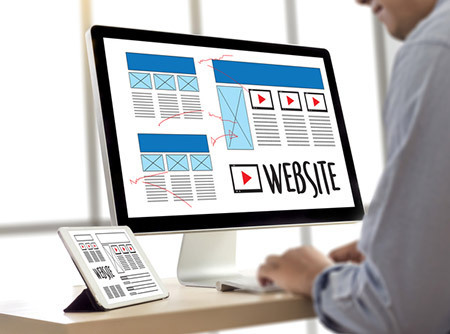 Then we move on to creating a picture of how your website will look, including navigation and connection between different sectors of the website. Once you have approved the Design, congratulations! All the decisions have been made and now it’s time to build the website. We do this in an online development environment – this means it is on the internet but behind a login; it is NOT available for the general public to view. We keep it there right up until it is ready to go live. This is the Build it for You phase. Have you got some questions? Give us a call on 03 8873 0000 or Request a Quote.